Over the past year, I've really gotten into graphic novels. I've always really enjoyed them but mostly just down to price, I hadn't read that many. Thankfully, my local library has a fantastic collection which has allowed me to try out lots over the last few months. With this, I've become really good at being able to guess which ones I will and will not like. As I've been featuring them in my monthly reading wrap-ups, I've realised that not a lot of people have tried reading graphic novels. So I decided to write this guide to graphic novels to hopefully inspire some more people to try them out. Graphic novels are fun, fast reads that sometimes can convey a story better than regular print. My first port of call when looking for graphic novels in the library. Graphic novels can be expensive and because they're generally much faster reads, they often don't end up being great value for money. Following on from that charity shops or online second-hand bookstores may also be a good place for you to score some bargains. If you want to buy from a store I'd recommend Waterstones as they have a good points card system and often run a stamp scheme where you can get a £10 voucher after spending £100. As always, it's great to support local independent bookstores but be aware this may be the most expensive option. 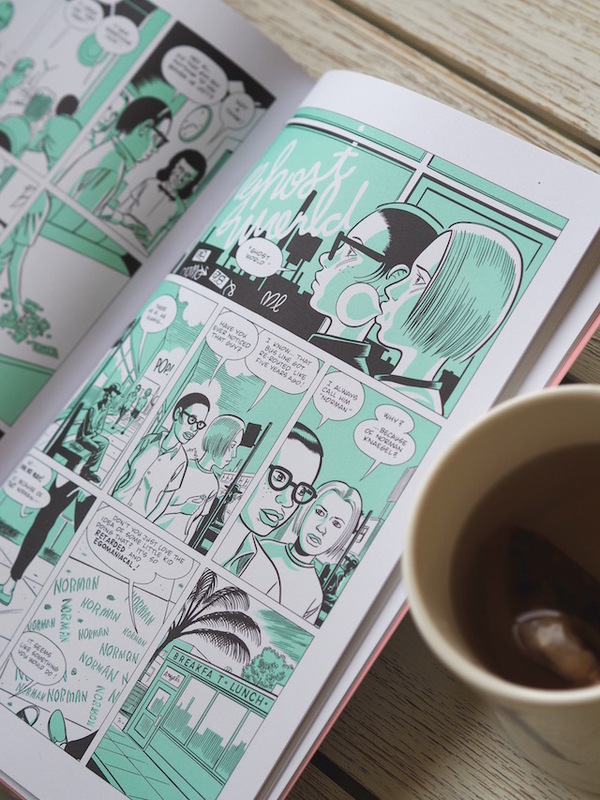 The more graphic novels you read, the more you'll know what suits your taste and what doesn't. Personally, I like big text, colourful images that are really detailed. I don't like graphic novels with lots of small text and images that are really abstract. I also really quite enjoy graphic novels that are based on different countries/cultures because it makes it easy for me to picture things. The more graphic novels you read the more this will stick out to you but next time you're in a bookstore check out their graphic novel section and flick through the books. Look for what stands out the most. Lots of text or little text? Colourful pages or black and white? Fantasy characters or contemporary stories? Having a rough idea of what type of graphic novel you will enjoy can save you money. Maus - A son tells his father's story of surviving the Holocaust in this graphic novel where the Jewish are drawn as mice and the Nazis as cats. 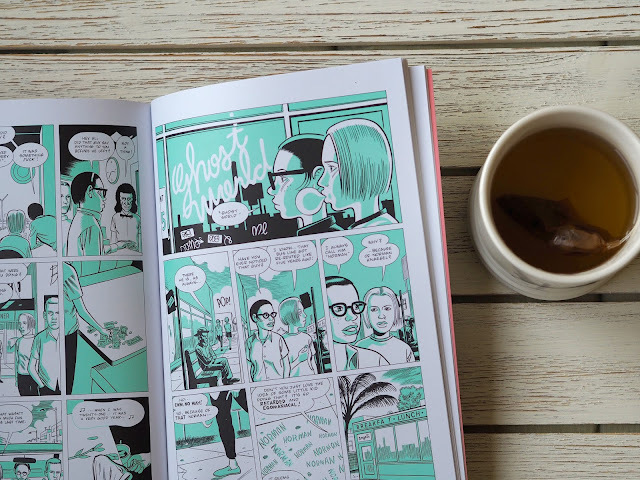 Persepolis - An autobiographical novel in which the author recounts her life growing up in Iran and after leaving, the identity crisis that ensued and her depression. Rolling Blackouts - The author of this novel followed her journalist friends through Turkey, Syria and Iraq. She tells the stories of the people they meet but also the discusses the morals of journalism. 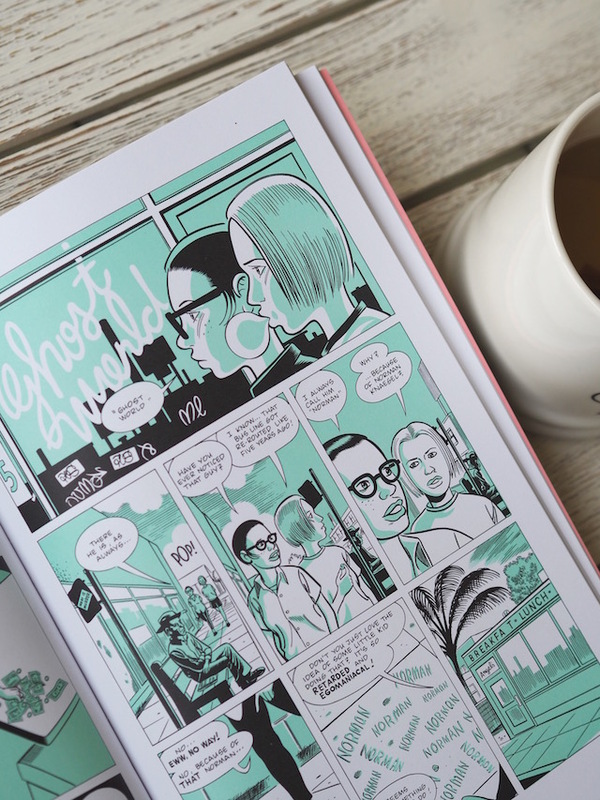 Ghost World - A coming of age story following 2 kinda obnoxious teenage girls as they sulk around town for the summer. Reeks of teen angst. Anya's Ghost - Anya finds herself being haunted by a ghost, in the beginning, she thinks the ghost is friendly but things won't stay that way. American Born Chinese - The story of a young teenage boy struggling with combining his American upbringing with his Chinese heritage. Nelson Mandela: The Authorized Comic Book - The story of Nelson Mandela starting from his birth with a letter from the man himself. Fun House - The author discusses her childhood, her father's suicide and how she believes it may have been related to his being gay and also how this has affected her attitude towards her own sexuality. Pyongyang: A Journey in North Korea - This French author tells the story of the time that he was able to visit the North Korean capital under a working visa. The Arab of the Future - The story of the author's childhood growing up in France, Libya and Syria under several dictatorships. Sally Heathcote: Suffragette - Recounting of the women's fight for the right to vote. The Thrilling Adventures of Lovelace and Babbage: The (Mostly) True Story of the First Computer - A humorous retelling of the invention of the first computer. Feynman - Richard Feynman is a Nobel Prize-winning physicist and this graphic novel is a biography of his life. The Imitation Game: Alan Turing Decoded - The story of Alan Turing, a mathematician who is responsible for a lot of early computer science. And if you have any more to recommend, leave me a comment!